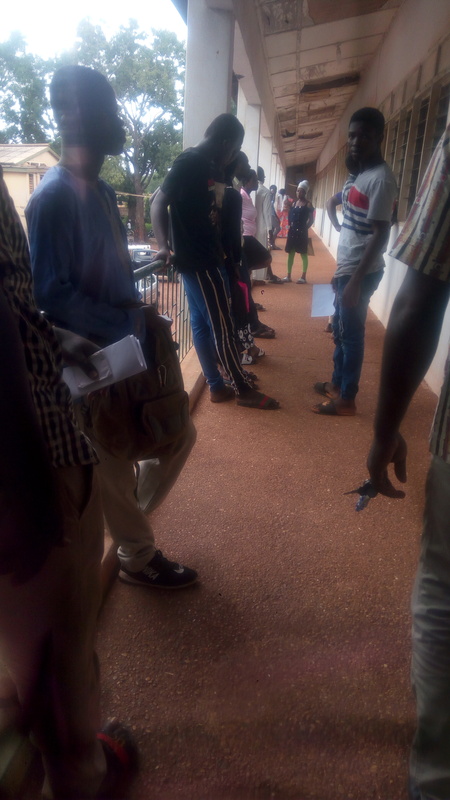 Several prospective Senior High School students under the double track system in the northern region this morning were left stranded at the Regional Education Office. Both parents and their children were at the Ghana Education Service head office and wanted to know their fate as to whether they are green or gold as assigned by the free SHS secretariat. In anticipation of challenges, the Education Ministry set up centers in all the regions to receive complaints from parents and students on the admission process. However, the coordinator for free SHS was not available to explain to the would-be SHS students how the green and the gold processes work. A glance through some of the placement forms revealed that some students were placed in schools they never chose, while others were placed at their preferred schools but in different programmes they did not choose. Some of the stranded students told Zaa News they were asked last week to come today for some of their problems to be resolved, only to meet an empty office. The absence of the Free SHS coordinator compelled an officer at the CSSPS office to offer some explanations to the frustrated parents and students. Some of the parents told Zaa News that they don’t know the track that will carry their children and appealed to the G.E.S to educate parents on the current happenings on school reopening and how the double system works. "We were told the coordinator has sent some documents to Accra and is expected in Tamale this morning," a parent said. But the Northern Regional Director of the G.E.S, Alhaji Mohammed Haroun Cambodia allayed the fears of both parents and students. He urged parents and students to remain calm and take their time to go through the process, as the region works with the head office to correct any anomaly that had occurred. The director also made a passionate appeal to parents not to allow their children to stay home after schools reopen. He said such a practice will adversely affect the calendar, especially under the double track system.